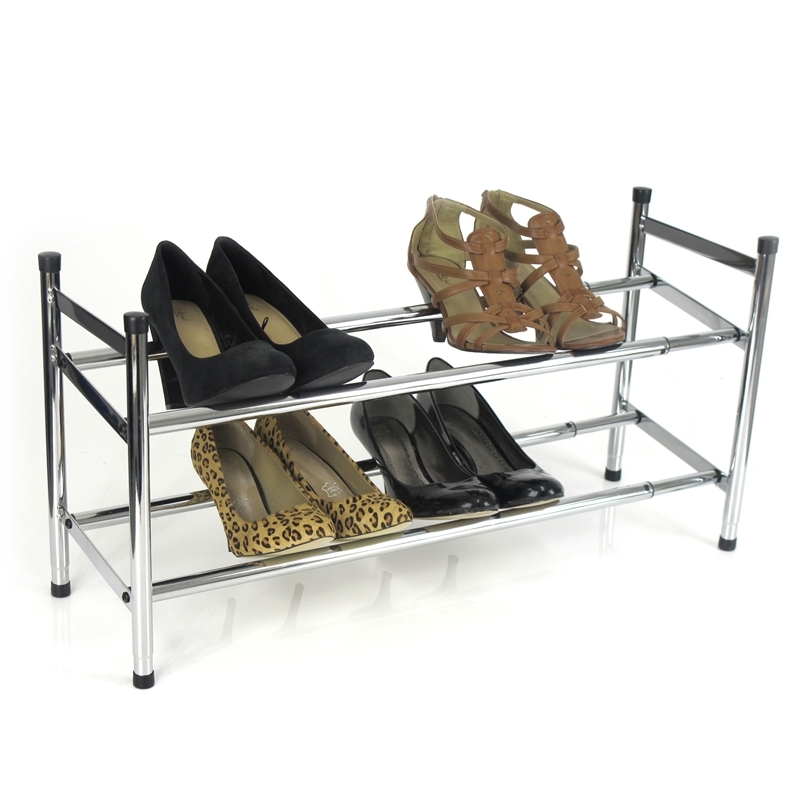 This 2-tier Chrome finished shoe rack is able to hold approximately 12 pairs of footwear. With its modern design and the ability to be stackable, it provides an easy solution for footwear storage problems. It's expandability to adjust in width means it can save space for when there is less footwear to store.